We are dealers of Wooden Floorings and imported Blinds. We also deal in sandwich glass blinds, smart Glass as well as aluminium Shutters. After working in the field of Interior Products & Services for a cumulative span of 15 years, we observed a serious gap between the services promised and delivered. In order to fill this gap and provide the best possible services to Interior Designers & Clients, iVish Decor was founded in 2014. Our motto is to be a part of your team and execute projects for you. We focus on understanding your needs and provide products and services fitting the budget within the required timelines with expert execution. We are located at Mahim, with an in-house team of product experts ready to serve you. 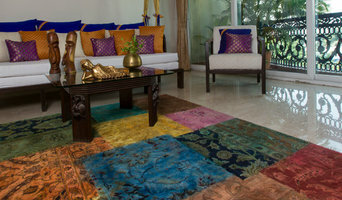 The Weaver is a customised Rug & Carpet making company. It is a myth that only a designer can innovate and create. At The Weaver we believe that each one of you is an artist. We fuel that artist within you to allow us to create a carpet or rug that defines you and makes you stand out from the crowd. Visit us to get your own customised design. Cocoon Fine Rugs is a high-end designer rug brand based out of Mumbai, India with flagship galleries in Mumbai and Bangalore. 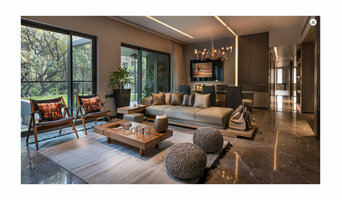 We cater to interior designers and architects, offering them a vast range of designs, colours and textures to play with. 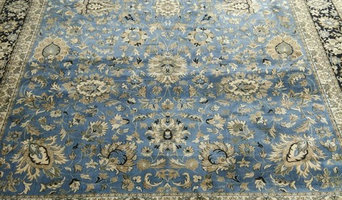 All of our exclusive rugs are Good Weave certified, and we offer our clientele a truly luxurious experience. We are dedicated to providing each client with the ultimate level of opulence, comfort and gratification. Once you step into Cocoon, we assure you that you will find more than one way to indulge your floor! 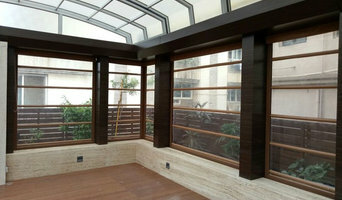 Space Conception is recognized as a one stop solution for your interior furnishing requirements. Our core business is importing, distributing, design consultation and customization of our products and world renowned brands that are hand picked from across the globe. Our product line includes but not limited to Wool/Silk/Jute carpets & Rugs, hair on hide rugs, wall coverings, wall art, furniture, cushions, premium leather accessories, Asian and European wood flooring, hardwood decking and natural stone cladding. Space Conception team works closely with each client to achieve their goals, dreams and budget and help them create the perfect home. We deal in Carpets,vinyl wooden flooring,glass films,blinds. Welcome to Carpets of Kashmir! We are 3rd generation creators of exquisite hand-made and hand knotted oriental carpets and rugs. Our Mumbai base showroom at World Trade Centre is stocked with 500+ carpets and rugs; from which our domestic and international clients acquire their art pieces. Establishing the right flooring for your home is not easy. You need to think about maintenance, durability and how the particular flooring will make the room look and feel. The choices are many from concrete, tile and marble to wood and vinyl. Also, flooring material choices are impacted by the space, carpets and rugs are used in the rooms. 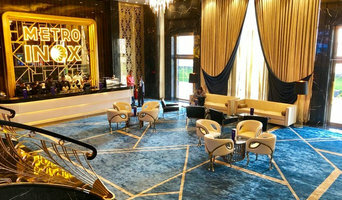 Carpet manufacturers and retailers in Mumbai can offer everything from a catalogue of carpet colours and pile options to carpet accessories like underlay, gripper rods. Carpet dealers will need to measure your home and they will provide you with an estimate for materials and fitting service. They should also be able to help with any repair or carpet cleaning services. Similarly, a Mumbai tiler will be able to help you pick a particular type of stone or tile that suits your style and budget. Don’t forget to ask tiling professional to suggest patterns and designs to enhance the appearance of the flooring. A beautiful hardwood floor can be the perfect way to complete a room of any style or design. The right wooden floor specialist in Mumbai will be able to advise you on the options you have that fit your budget. If the wooden flooring cost exceeds your budget don’t worry you can opt for laminate wooden flooring. If chosen carefully and done properly, fitting laminate flooring in your home can look almost as good as the real thing. Remember a professional flooring installer in Mumbai is a must to ensure that your new floor fits the space perfectly and remains looking beautiful for years to come. You can also find the perfect carpet or rug retailers and dealers in Mumbai to help you add the finished to your flooring.